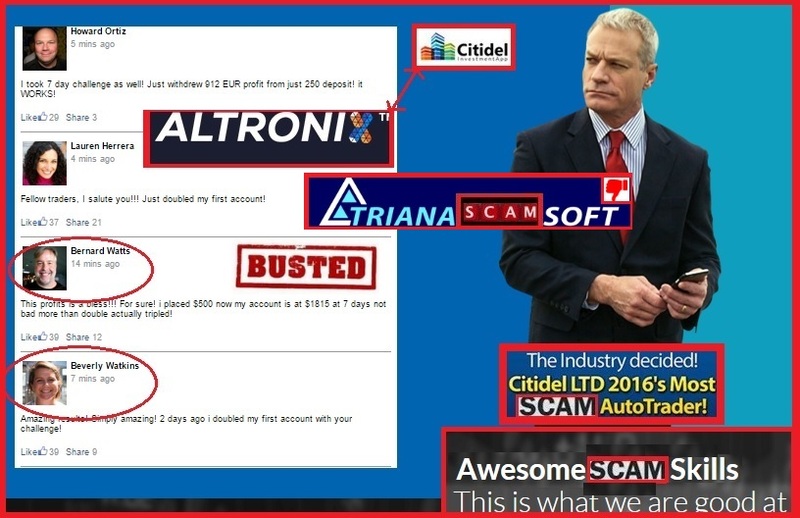 Binary Scam Alerts is notifying it’s members and subscribers about a dangerous new binary options SCAM named Trianasoft (AKA Trianasoft Software, App, and Auto-trader) as well as David Campbell the fake Quant (Quantitative Analyst) and Michael Wedmore the second rate actor. As your’s truly was writing this review, our team of researchers has come across some extremely disturbing complaints from disgruntled day traders insisting they were mislead and deceived by a very sophisticated fraud ring offering them free software and massive profits at the push of a button. Our in-depth investigation reveals that this app is not only inaccurate, it’s also extremely deceitful and misleading. Trianasoft is an expensive, high-end production and these guys went all out to make sure they have a convincing story. However, we were able to detect their fabrications and lies and show you exactly how slimy these vultures really are. The immediate giveaway is the software, it is exactly the same trash code the con-artists from Citidel and Tauribot used to trick and cheat innocent victims. They even use the same fake social widgets that rotate up and down. Its the same people rehashing the same stupid sentences in a boring and repetitious manner. This social profile feed was also used in the Altronix Trading App, another sub-standard auto-trader with hyped up results. 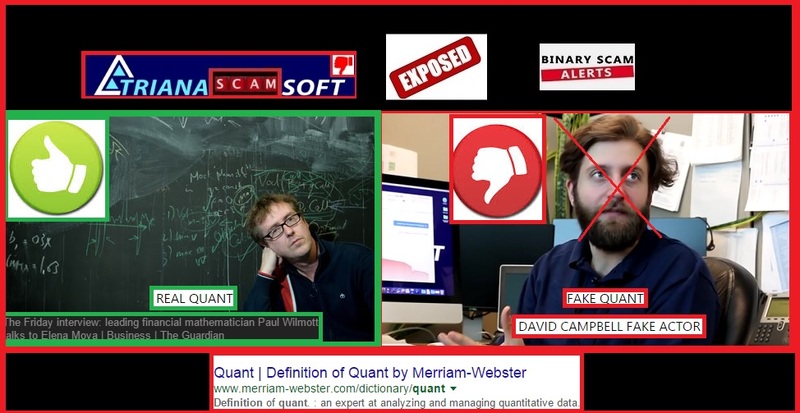 The creators of this putrid pile of horse manure are telling us in so many words that David Campbell, the owner and “head of research” for this bogus system is a quant or quantitative analyst. A real quant like Paul Wilmott or Haim Bodek would never agree to be associated in any way, shape, or form with this fraudulent app. Below you will see an authentic interview with Paul Wilmott at the Blouin Creative Leadership Summit. Trianasoft claims to exploit theories such as the Butterfly Effect which is basically explained or equated to as millions of butterflies flapping their wings and together these flaps or trades have a massive influence on the market. Technically speaking they have just taken the concept of HFT or High Frequency Trading and adopted this global trend to lend an aura of legitimacy to their story. That is their main sales pitch, and their actors are paid to deliver that message in the most convincing way. So in reality, if you have bought into this system you needn’t concern yourself with various charting tools or technical analysis in the form of moving averages or inverted hammers and Dojis. There is no possible way you can achieve a ~ 90% ITM ratio with this phony app. Your primary concern needs to shift from making money online trading binary options, to how to exit this vile scheme in the fastest and safest way. Take a wild guess. The answer is YES, but you must fund a trading account with at least $250 in order to enjoy the benefits of this crappy system. These include but are not restricted to Trade X Confidential, My First Online Payday, Limitless Profits, Trade Tracker Pro, the Amissio Formula, Tauribot, Citidel, Centument, Insured Profits with Dave and Ginny, Millionaire’s Blueprint, Binary Matrix Pro, Binary App 810, and The Free Money System with Walter Green. There are new systems coming out every day, and each one is offering you a short cut to get rich and easy money at the point of a click. The vast majority of these apps are scams designed to get you to fund a trading account and leave you hanging. Still, every now and then there is one system that can actually consistently make money. 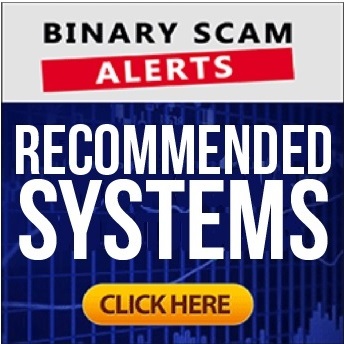 We endorse the Binary Profit Method wholeheartedly as our preferred signals tool. If you are in the market for an Autotrader, make sure to read our Virtnext review. It isn’t every day that we get to see such a high end production like Trianasoft. In binary options scams like these are considered the “creme de la crap”, and I will treat it as such. David Campbell and Michael Wedmore the phony actors are an integral part of the scam, and should also be held accountable to some degree. We are urging all our members and subscribers to avoid this app at all costs. There is nothing genuine, honest, or sincere about it, besides the intent of the people behind it to steal your money and send you on your merry way. As always I invite you to join our Facebook page and subscribe to our YouTube Channel, and make sure to report scams.